Four Town Dental is proud to offer a number of specialty treatments that you’ll rarely find at just one practice. These include complicated procedures that required extra training for our doctors and staff, as well as techniques that can be used to help a nervous patient feel more comfortable. 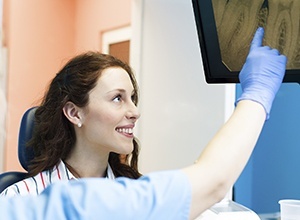 All in all, the scope of dentistry is constantly expanding as time goes by, and with these services, we’ll not only give you a beautiful smile but a healthy body as well. This treatment is used to repair teeth that have damage or an infection deep within their innermost layer where the sensitive nerve is located. This can typically be caused by either a longstanding cavity or trauma. Despite what you may have heard in the past, this procedure is actually quite painless thanks to the latest dental techniques. In fact, it’s one of the best tools we have to relieve severe dental pain and save teeth that would otherwise need to be removed. 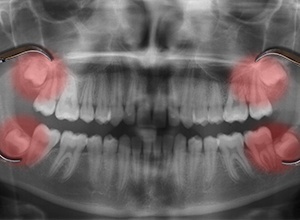 The wisdom teeth are actually the third set of molars, and they often need to be removed because most people do not have enough room for them in their mouth. As they try to erupt, they can cause a variety of problems, such as tooth crowding, pain, and even an infection. At our practice, we’ll keep an eye on your wisdom teeth so we can remove them before they cause you any problems, and when it’s time for them to come out, we can handle the procedure right here in our office, saving you from having to run around town trying to find a specialist. In the case of extreme dental emergencies, oral surgery may be necessary to fully correct the problem, such as when one or multiple teeth need to be extracted. This will typically be used as a last resort after we have tried other, less-invasive treatments, but you can trust that we’ll handle your oral surgery with the utmost care. 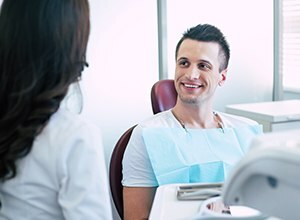 Thanks to sedation and local anesthetic, we’ll keep you comfortable the entire time we’re saving your smile. Whether you need treatment for your sleep apnea or you’re ready to toss your CPAP out the window, we can help you. Using just a custom-made mouthguard, we can relieve and manage your obstructive sleep apnea symptoms so you can finally get the rest you deserve. 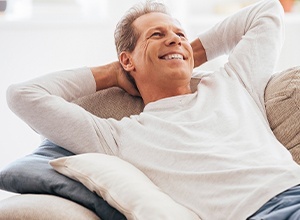 This approach is called oral appliance therapy, and it is quickly becoming one of the most reliable treatments in the country to offer simple, easy, and effective sleep apnea relief. Does just the thought of going to the dentist make you feel nervous? If so, don’t worry, you’re far from alone! We treat anxious patients everyday, and in order to help them relax, we can offer a number of gentle, safe, and effective sedation options. These treatments can soothe a nervous mind and protect you from pain all at the same time. In the end, no matter what procedure you need, we can promise that you’ll feel comfortable whenever you come to see us. If you’d like to learn more about these particular treatments, or if you’re ready to schedule your FREE consultation, please contact us today.